My husband has never loved pancakes because they can be so thick and cake like, so I started making crepes a while back to fit his taste buds! They are thin, light, but still so filling! And when a batter comes together all in one blender, you will not see me complaining! Easy peasy! 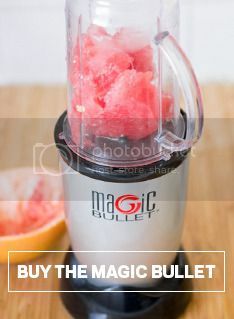 Add all the ingredients to the Magic Bullet Blender until blended. Grease and heat a pan on the stove. Once it’s ready pour a thin layer of batter to coat the bottom. Cook slowly one side, then carefully release the edges and flip. It’s ok if it isn’t perfect. Once it’s done, fill the crepe with desired fruit fillings, nut spreads, etc. And top with powdered sugar! Enjoy!